Doug and Dana Hixson have planted a church in South Dakota that cares more about people’s future than their past. 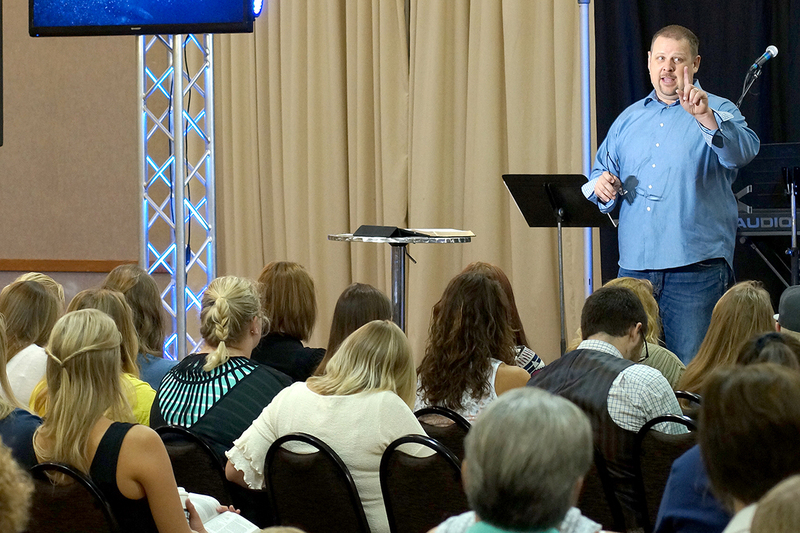 “No perfect people allowed.” That’s the unofficial tagline for Connection Church in Spearfish, S.D., planted over five years ago by Arkansas natives Doug and Dana Hixson. In a community that mostly identifies itself as Catholic or Lutheran, denominations that historically emphasize ritual and strict traditions, that’s an intriguing concept. It certainly intrigued Mary. Mary was raised in a Catholic home, but rebelled against her family and the church, and she never went back. Now, in her 50s, Mary’s heart was beckoning for God. Mary did visit the church, and two weeks later, she gave her life to Christ and was baptized. She now participates in church’s college ministry mentoring young women. Doug says he could tell stories all day about people like Mary. “Most of the people we baptize are over 30,” Doug says, “because these are people who grew up thinking they were saved, but then they came to us and discovered that they never really were.” The Black Hills area is generally morally conservative and largely Christian by label, but eight out of 10 people are not active in a local church and show no signs of a personal relationship with Christ. “There’s an unspoken expectation in our culture that you have to have everything together to go inside a church building,” Doug says. Connection Church looks for people who feel like they don’t belong in the church. Perhaps they have done something wrong in the past and don’t feel “good enough” or they’ve been previously hurt by churches and vowed never to return. “We like to tell people that we are less worried about their past and more worried about their future,” says Doug. Doug and Dana started their first Bible study with one couple. Soon they had 20 people meeting in their home, and on Easter Sunday 2011 they had their first service in a church building. Now, just six years later, it has grown into a church that averages 200-250 on Sunday mornings. That may not sound like a megachurch in Arkansas, but in the Black Hills area, it’s unheard of. Connection Church is one of the largest churches in their convention. Doug preaches the Gospel every Sunday, and he teaches basic Bible stories like the flood and the Exodus because people don't have knowledge of basic biblical stories. Doug bases their outreach success on activity in the community and having an attitude of welcoming acceptance. One of their most successful programs are block parties. They depend on mission trip teams (many from Arkansas) to do the leg work. The groups spend three full days spreading the word on foot, knocking on doors, and passing out flyers. “We’ve knocked on every door in this area five to 10 times,” Doug estimates. The volunteers also help set up, tear down, and provide kitchen hands. “It’s great to watch a person read the Bible on their own for the first time,” Doug says. “It’s like watching a light bulb come on in their heads.” Doug was thrilled when he recently went to a men’s Bible study and noticed three different men carrying one of the Bibles his church gives away. Along with growing their church through discipleship and sharing the Gospel, Connection Church is also focused on setting up a system of church plants across South Dakota. They’ve already planted two successful churches that average 125 and 200 per Sunday, and another up-and-coming plant that averages 25 to 35 weekly. But Doug and his staff have their hearts set on more. They’ve already identified another 30 places for potential churches. The greatest challenge for Connection Church is that the harvest is plentiful, but the workers are few. “We want people to pray about coming here and starting a church plant. God can call anyone from anywhere,” Doug says. But if you don’t feel called yourself, Doug asks that you pray for local men to rise up to reach their own communities. Doug’s greatest desire is that the ministry would plant roots and multiply right there among the people of South Dakota. He would also encourage anyone to organize a mission trip to Connection Church. There are many ways they can use your help, from putting together community events to sharing the Gospel one on one with people who are hungry to know more. Even in a country like the United States, where churches are readily available, there are large areas where people need to know the truth. South Dakota is one of them, and thanks to faithful servants like Doug and Dana Hixson, God is doing a great work. 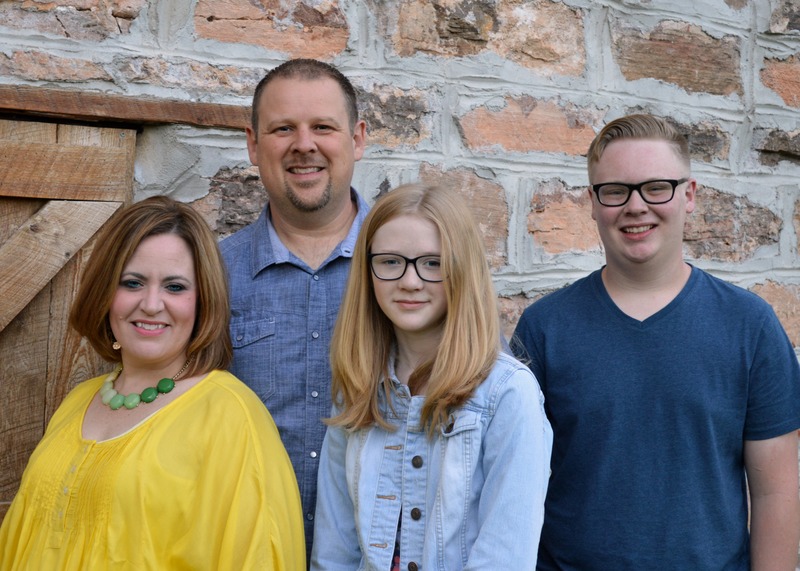 Please pray for the Hixon family, Connection Church, and that local men would rise up to plant more churches in South Dakota.